Prevent slips and falls this winter with these heavy duty steel spikes. Just snap them on and away you go! 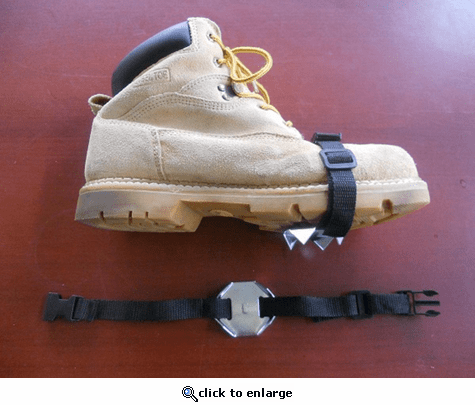 These handy Ice Grippers attach to any shoe to provide instant traction on Ice, Snow or Mud.